January is my birthday month. I don't have many memories of birthdays as a child. My Mom is not a 'let's throw a party' kind of person. In Canada one does not necessarily plan parties for their birthdays, or mention that it is your birthday, and tell people to celebrate you! But I do remember getting older, some being more wished for than others. I do remember some as I share my birthday with a cousin and we celebrated a time or two! But, I can remember every birthday that I celebrated in Mexico! Why? Because they don't let one's birthday go by unnoticed or uncelebrated. They have many traditions for birthdays which make celebrating fun. 1. While, we sing "happy birthday" to someone on their birthday, Mexicans take it to the next level, they have a birthday song which is either done by a mariachi, or played loudly over a sound system, or they sing it to you, as everyone knows the song! 2. La Piñata: Then there is the ever famous piñata. While it is mostly done for children, I have been given one on my birthday and have enjoyed one at many an adult party. 3. La Mordida - The bite: This particular tradition was my kids' favourite. After the song and candles, everyone shouts "Mordida" and you are supposed to take a bite out of the cake. AND... someone pushed your face into the cake! 4. 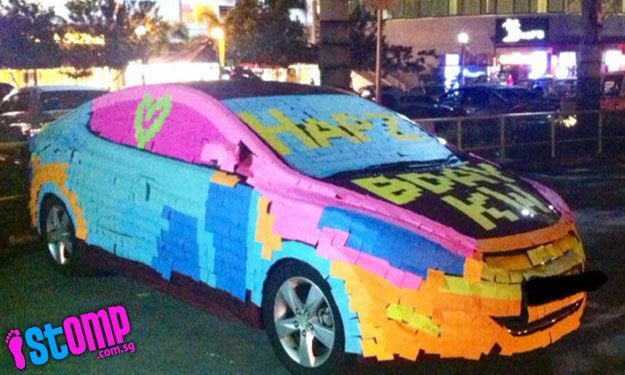 Post-It-Note Car: They have a tradition here that on your birthday people give you a birthday wish on a post-it-note and stick it to your vehicle. Never done this but have seen it across the street from my house. 5. 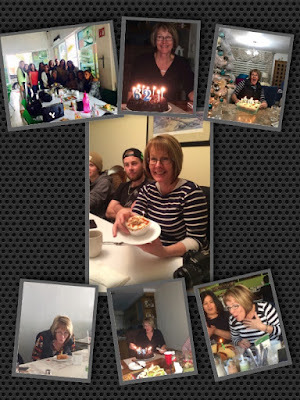 Family and Friends: Birthdays are celebrated with friends and family. Everybody comes. On my 50th we had a nice group - 80 people or so. Ernie is turning 60 in July and I know that he will have even more! They want to celebrate you, they want a party. Every birthday in Chihuahua was celebrated with our neighbours. Ladies breakfast was never missed. Each lady in our group was celebrated. Every birthday here in GDL has been incredible! It starts in the beginning of the month and lasts for the whole month! I had my last birthday meal on January 30th! I have been sung to by a full Mariachi, I have been serenaded by a Trio (smaller version of Mariachi), I have had countless cakes, countless breakfasts and countless birthday wishes. It was fate to come here at this place. It really paves the way for me to want to go out more. I was fortunate enough to have seen this excellent place with my friends. The entire space at venue New York feel warm and intimate.